What junior golf tournaments are there in my area? What are the best options to play in? Check out your respective state for local, regional and national tournaments to compete in throughout the year! San Diego Junior Golf Assoc. Ventura County Junior Golf Assoc. Greater Tampa Junior Golf Assoc. Hawaii State Junior Golf Assoc. Cape Cod Junior Golf Assoc. Northwest Ohio Junior Golf Assoc. 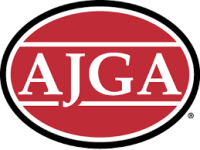 South Carolina Junior Golf Assoc.